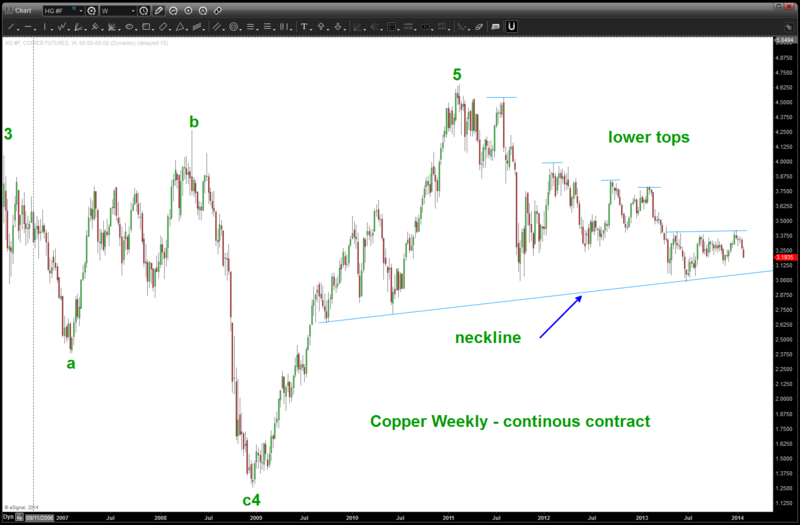 Copper is important … it’s still a major player w/ regard to the global economy and is something that should be watched. 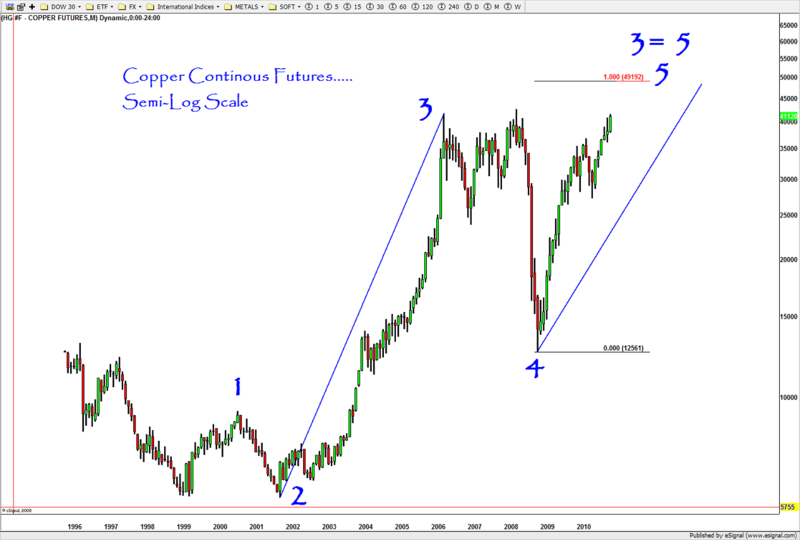 We also think Copper made a very important wave 5 top … here’s the chart as the top was getting made (I want to provide “real time “charts” so there is no “could of, would of, should of”). It certainly counts a 5 wave move UP being complete. 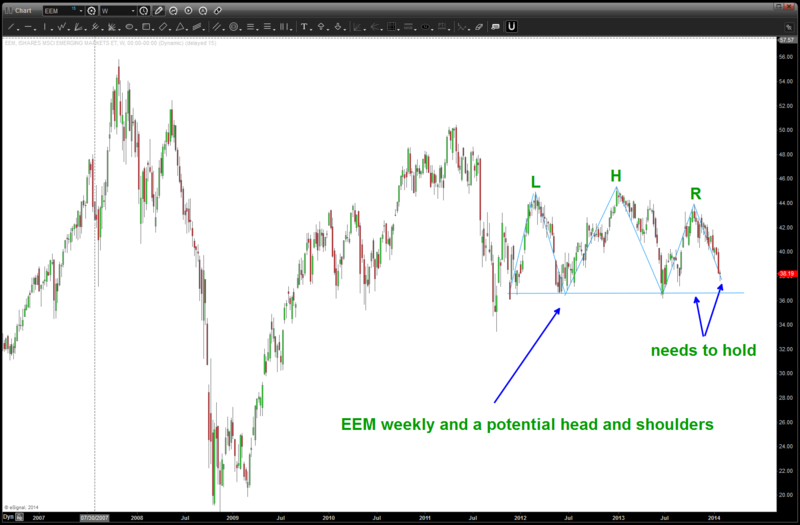 here is the EEM ETF (daily) and NOTE HOW IMPORTANT THE 37-38 LEVEL IS FOR THIS ETF. It’s completed a pattern and we had some good buying occurring at the key level but IT NEEDS TO HOLD. now, why the diatribe about Copper above? 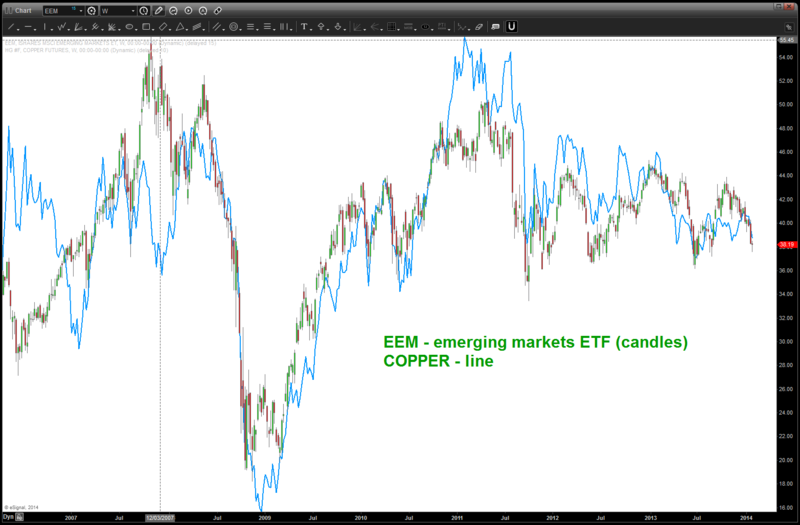 Well, this next chart is Copper overlaid on top of EEM. Note the synchronicity … pretty well lined up. IF COPPER and EEM synchronicity to remain THEN EEM pattern that is noted on the DAILY EEM chart will, ultimately, fail. IF COPPER and EEM break necklines THEN substantial selling coming in the future for not only COPPER but also the Emerging Markets. 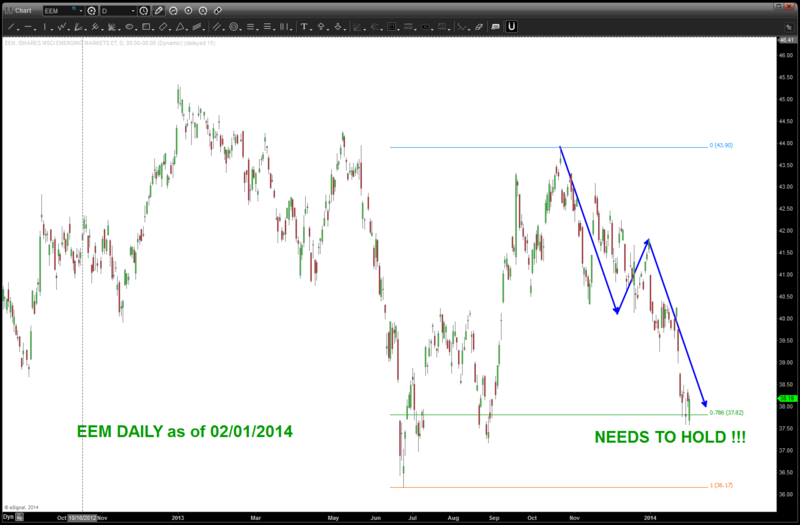 THERFORE: don’t be LONG EEM.